(From left to right: Prof. Eelco Vogt, Nynke Krans and Shamayita Kanungo). 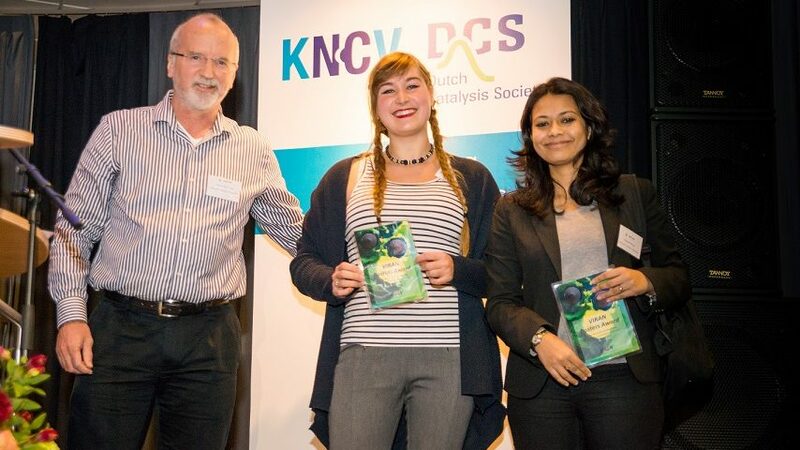 Nynke Krans won the VIRAN award for the best poster, presented during the 18th Netherlands Catalysis and Chemistry Conference (NCCC) in Noordwijkerhout. Her poster was entitled “Iron nanocrystals on carbon nanotubes; E­ffect of surface oxidation and promoter addition”, authors: N.A. Krans, E.C. van der Feltz, J. Xie, A.I. Dugulan, J. Zecevic and K.P. de Jong. The poster award consists of a plaque and € 500.